Mommy Diaries (Of a Florida Mom): Mom's Night Out - Beauty Edition! So I've told the story of my first Mom's Night Out (click here if you missed it.) But I left out a very, very important part of the night. Our beauty routines and products. I wanted to dedicate an entire post to this very important process we women go through before our night out. If done right, it can become a fun ritual you experience with your closest girlfriends. So what products did we use? Check it out below! For our hair we used a variety of products. The night before our big day I decided to do a hair treatment to make sure my hair would be on its best behavior. Of course, being a busy mom I don't have all of the time in the world to wait on a hair treatment. So I decided to go with Aussie's 3 Minute Miracle Treatment. I used Strong knowing I would be using heat products on my hair the following day. I definitely felt a difference in my hair. It seemed smoother and less brittle. I also didn't notice the usual damage I see after using heat products. Speaking of the Aussie 3 Minute Miracle Collection, I also used the Moist treatment a couple of days after our outing and was left with super soft, happy hair. Now for my routine the day/evening of Mom's Night Out. Of course, a shower is due before anything else can begin. I used Herbal Essences Naked Volume collection. My hair is straight and fine so volume is a must. I loved how light the shampoo and conditioner felt. I was left with bouncy, clean hair without having the over-drying result I usually get from volumizing products. I also used the Herbal Essences Naked Sheer Shine Mist for an extra boost of health and shine. This spray didn't weigh down my hair and left it smooth and shiny without any sort of sticky feeling. After being out all night I came back to our hotel and again took a shower. This time I decided to use the Herbal Essences Naked Moisture Shampoo and conditioner. I figured my hair may need a little extra TLC after a night out. Again, my hair was moisturized without feeling greasy or weighed down. The Herbal Essences Naked products definitely achieve optimum results with their residue-free, paraben-free, and dye-free formula. I love how great they feel, the results they give, and even their clean, refreshing fragrance. Now that that shower is done, its time for MAKEUP! For my foundation I used my trusty COVERGIRL Outlast Stay Fabulous 3 in 1 foundation. As usual, this go-to foundation applies quickly, easily, and smoothly while keeping a flawless finish all night. It has become my all time favorite foundation. Blush and lips were perfectly done thanks to the help of a couple of MAC products. 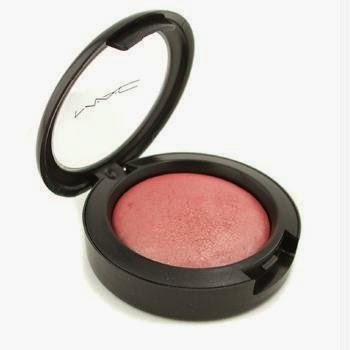 My go-to blush, MAC Mineralize Blush in Gleeful ,provided a natural flush that didn't budge even after being caught in the rain once or twice. All three of us ladies used MAC Lipsticks in different shades. 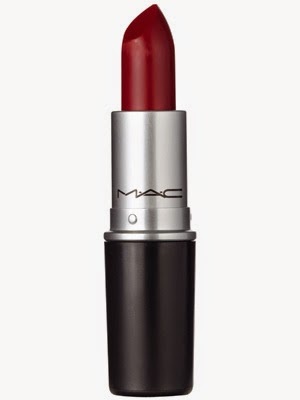 MAC lipsticks provide everything you could want in a lip product: Vibrant color, moisture, smooth texture, and longevity. I don't think any of us had to touch up our lipstick the entire night. Even after dinner and drinks the lipstick looked perfectly placed. And finally, my favorite, eye makeup. For eyes we used a TON of COVERGIRL products. We used the Flamed Out Shadow Pots as our eye shadow (Melted Caramel was my favorite.) These eye shadows are affordable and they provide highly pigmented color all night. They are also easily blended into each other for a more glamorous look. We also used the Flamed Out Shadow Pencils for added dimension. These have the texture of a cream shadow and are so easy to apply. For liner we used COVERGIRL's Ink It! Liners. These easy to apply gel liners are one of my favorite COVERGIRL products. I will admit, I have issues applying gel liners with a brush. This makes it so much easier to get the liner exactly where you want it. And the stand out product of the night for me? COVERGIRL's Professional Super Thick Lash Mascara. This mascara gives the same look Mally's prized Volumizing Mascara gives...but for a fraction of the cost. It has become my new daily mascara and I feel much better using it knowing its not going to cost much to buy a replacement. And there you have it. A break down of our favorite products from Mom's Night Out! 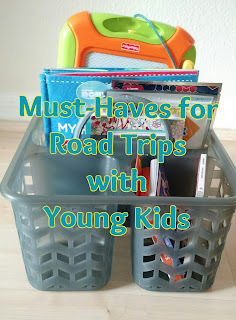 Try them out and see for yourself just how fabulous they are! MAC lipsticks provide everything you could want in a lip product. I used MAC lipstick it is long lasting as well as various beautiful shades are available in them. Loved the collection of the products. would like to include in my skin care kit. Also, I am using some skin care products such as Dermology anti-aging cream and serum in order to prevent wrinkles. Such a nice products. These are a good to use. But I suggest for moms to start using Lifecell anti ageing cream. This cream will helps you to avoid the aging sings of the skin.